Edwin Charles MARFLEET was born on the 11th August, 1871. He married Edith Kate HOPE at Colaba in 1896. The couple had one son, Edwin Hope MARFLEET, who was born in 1901. Edwin Charles MARFLEET served in the Army Ordnance Corps and was in France and Belgium from the 4th August, 1914, until the 11th November, 1918. He was promoted to the rank of Major in the Commissaries of Ordnance on the 25th September, 1916, and was a recipiant of the 1914 Star and the Military Cross. A 1926 directory records his address as 'Tower of London'. Edwin died on the 21st April, 1946, aged 75 years, his wife having pre-deceased him on the 17th May, 1939, aged 68 years. Whilst I do not hold the precise dates of his tenure of office, I can advise you that Lieutenant Colonel E. Marfleet, MC was the Ordnance Officer of the Tower of London from 1924 to 1926. This information only came to my notice as recently as 1988 when the then Ordnance Officer, Lt-Col John Wynn, conducted his own research in order to mount a board in his office of all who had held the appointment. It looks as if a small error was made in compiling this board as your ancestor appears thereon as E.H. Marfleet MC. You will also notice that he was promoted from Major to Lt-Col some time between 1916 and 1924. 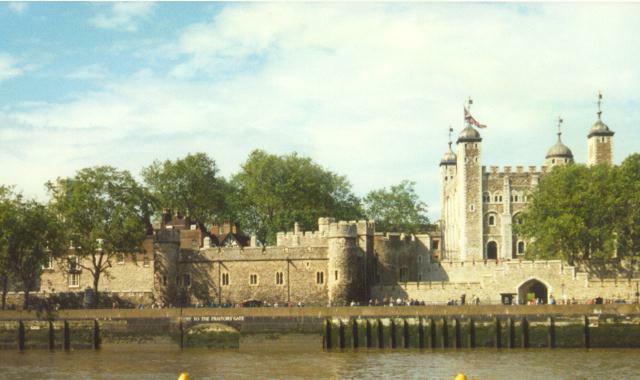 Lt-Col Marfleet, like all others who held the appointment, would have lived in one of the Tower of London quarters; but no record survives of which one he might have occupied. Sad to relate, with the Army's reorganisation under the Options for Change programme, the Ordnance Officer of the Tower appointment was discontinued in 1994 and is now only an Honorary appointment held by a senior officer of the Royal Logistic Corps, the newly formed regiment that incorporates the Royal Army Ordnance Corps. Also known as The Receiver of Fees, his duties involved the day to day running of the Tower on behalf of the Resident Governor. All of the duties he used to perform, and countless other new tasks, are the responsibility of the present day Deputy Governor (Operations) and the Operations and Services Manager, neither of whom are serving officers. LAST UPDATED: 14th March, 1999.